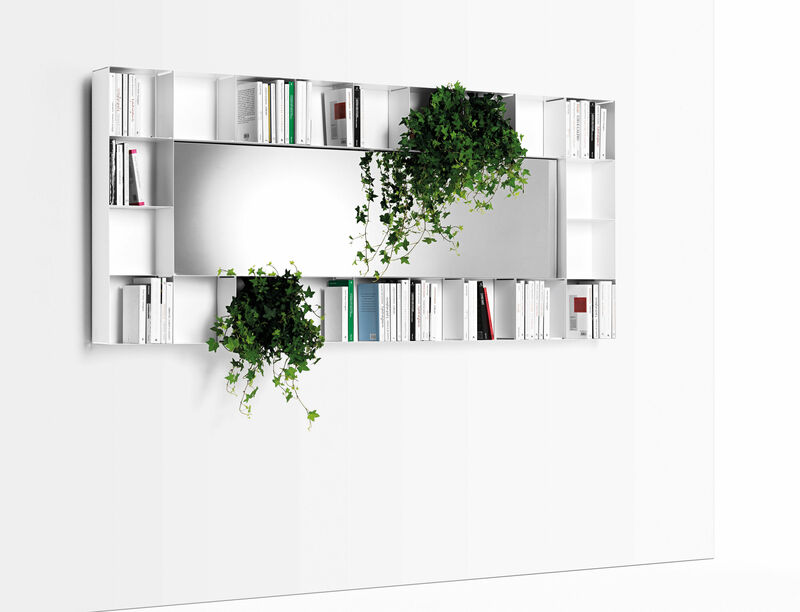 Mirror/bookshelf in matt white lacquered metal. 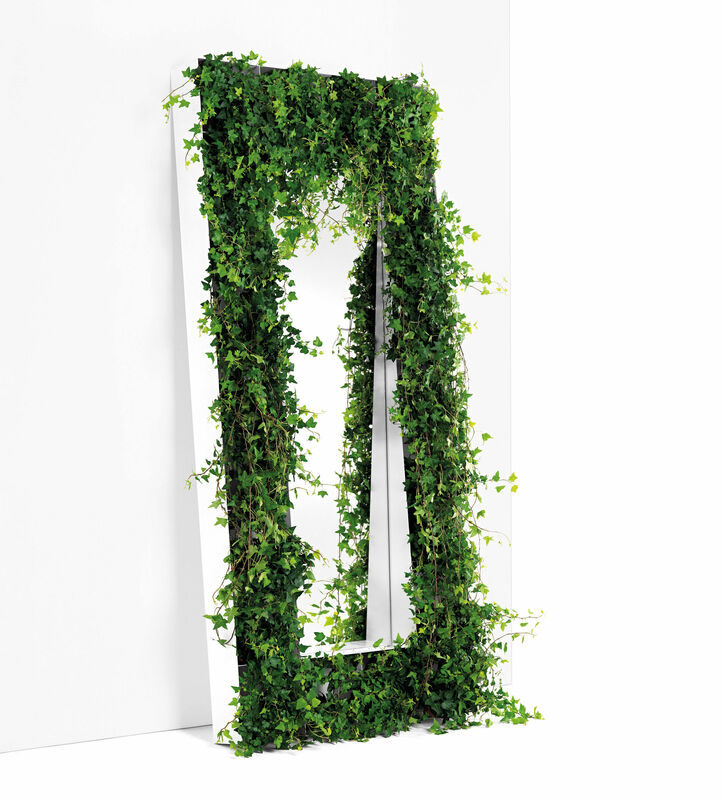 Adjustable mirror. 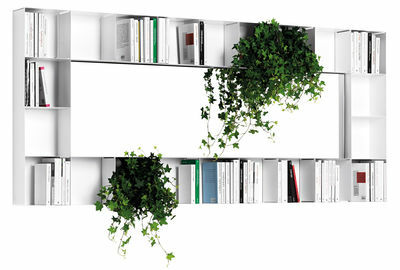 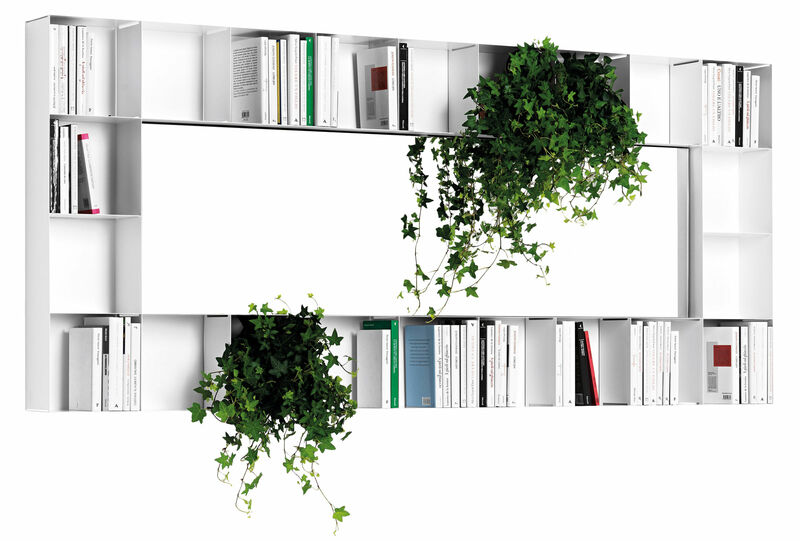 It can rest on the floor or be suspended on the wall, even horizontally. 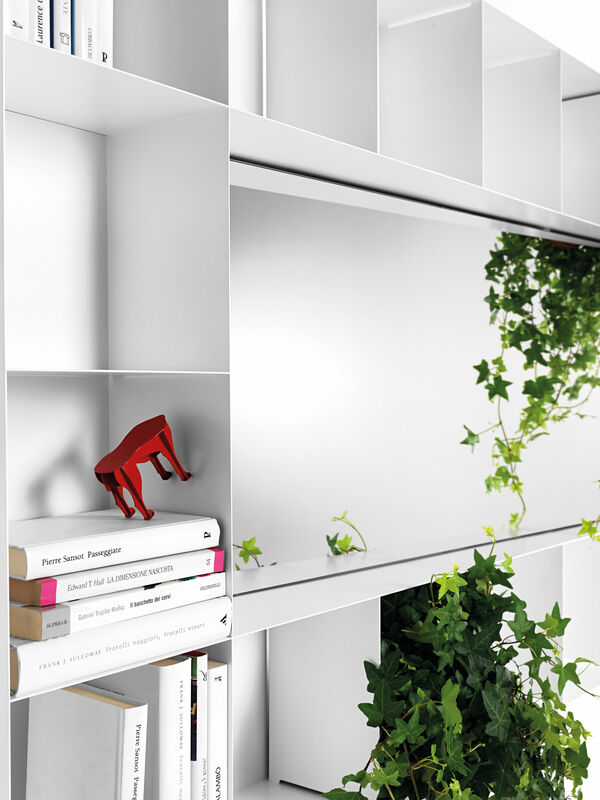 Note: when positioned on the floor, it needs to be fixed to the wall.